You’ve most likely heard of the phrase, “Money Makes The World Go Round” from a famous musical play. Perhaps it should be “Multi-Currency Makes The World Go Round” in today’s mobile web world. As a wholesaler and distributor, I’m willing to bet that you’re dealing with at least two currencies for your purchases and sales. You buy things in different currencies from suppliers in many countries. And you sell things in your local currency. Gone are the good old days where you could comfortably buy and sell things in your local market. World exports of manufactured goods increased from US$ 8 trillion in 2006 to US$ 11 trillion in 2016. (World Trade Statistical Review 2017, WTO). Developing countries make up the bulk of suppliers and manufacturers today. They have a comparative economic advantage: lower wage costs, specialized design and manufacturing skills, and a finely-tuned supply chain. Developing economies had a 41% share in world trade in 2016. (World Trade Statistical Review 2017, WTO). On the flip side, developed countries are typically buyers. They take advantage of lower-cost products made overseas to sell in sophisticated, price-sensitive markets. In fact, the top 10 wealthiest countries made up over half of the world’s total trade in 2016. (World Trade Statistical Review 2017, WTO). So what are you to do with all these different currencies involved? 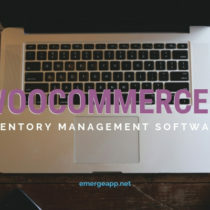 We’ve got you covered if you’re using an inventory management system like EMERGE App. Few of you may know that EMERGE App was born out of frustration using spreadsheets to manage stock in a small business dealing with custom printed t-shirts. 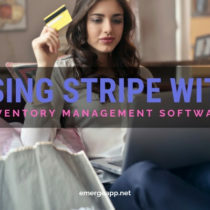 We decided to develop our own inventory management to solve our pain points instead of settling for expensive, on-premise software. Then we made it available for the rest of the world by putting it in the cloud. First, you need to add the currencies that you deal in. It’s easy to add additional currencies in EMERGE App. Just go to Company Settings → General Setup → Currency. This brings up a new window along with the currency code, the exchange rate, the currency symbol and the decimal places that you wish to use. As you can see, EMERGE App supports just about every legal currency in the world. You can enter up to six decimal places for the exchange rate if that’s your kind of thing! You specify the default currency that your customer uses when creating their profile. Thus, when you create a quotation or sales order, the default currency of the customer will be automatically populated. Likewise, when creating suppliers, select the default currency that your supplier uses. At the sales order screen, select the currency used in the sales transaction. For purchase orders, select the currency used in the purchase transaction. In the purchase report, all purchase figures will use the default currency. 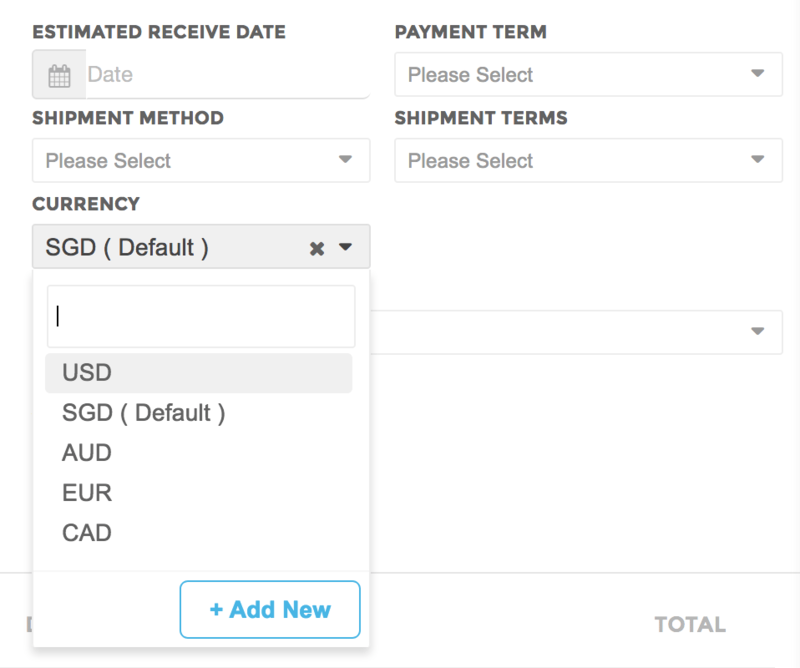 Just as with sales orders, each purchase order will be converted to default currency based on the current value of the exchange rate field in your company settings. 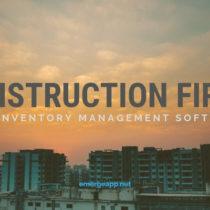 We know that you don’t use your inventory management solution in isolation. 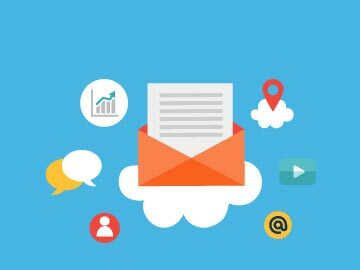 For extensive financial reporting, many of our users integrate it with two of the most popular cloud-based accounting solutions out there: Xero and QuickBooks Online. For Xero, you’ll need to do little homework first by manually adding all the currency of the transactions used in EMERGE App. To do this, just follow Settings → General Settings → Features → Currencies. 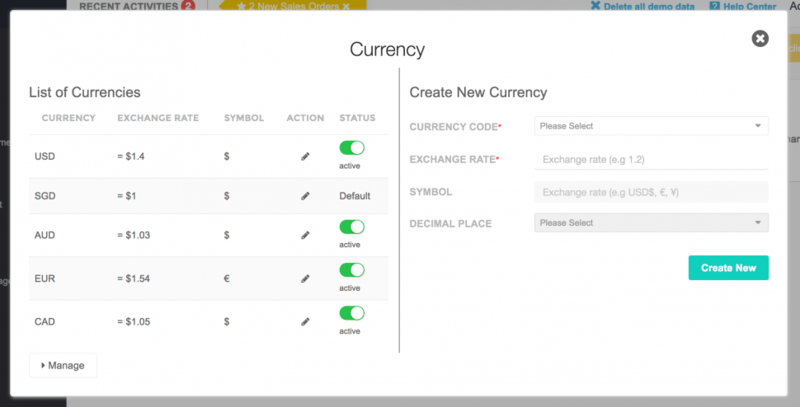 Then click Add Currency and select a currency. 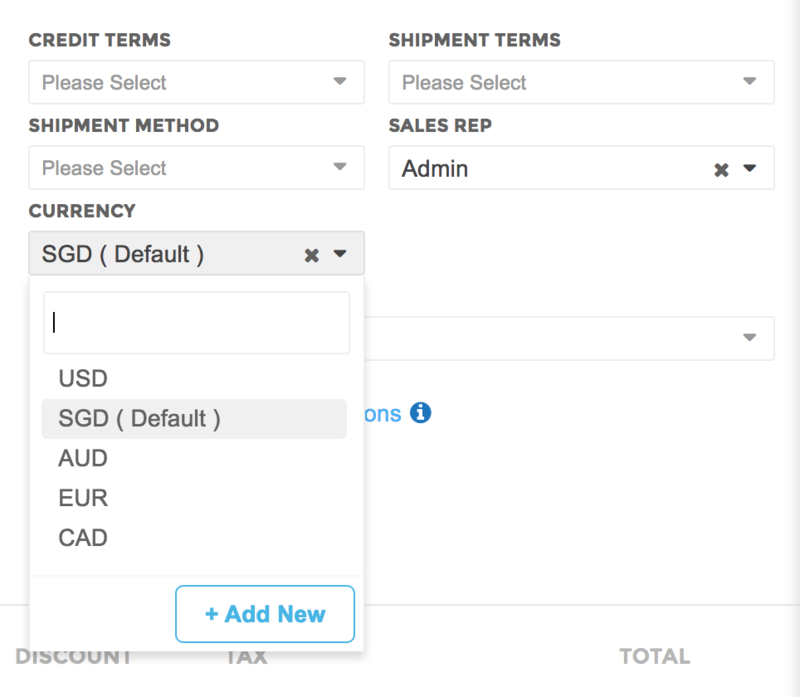 Once done, Xero will import the sales orders from any channel in EMERGE App that supports multi-currency. For QuickBooks Online, you’ll also need to setup multi-currency. Go to Account and Settings → Advanced → Manage Currencies. 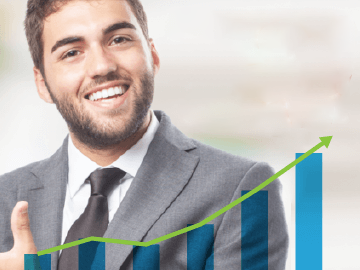 Like Xero, updated exchange rates are automatically provided by QuickBooks Online. 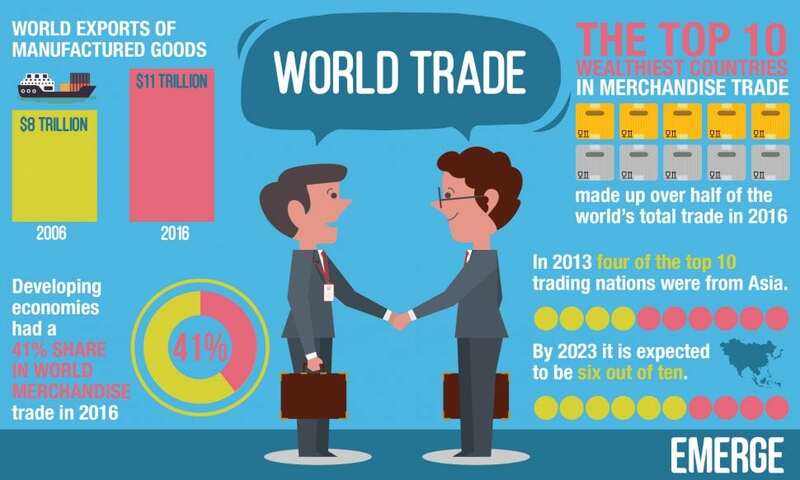 World trade is here to stay and it is increasing rapidly in the near future. There is a quest for ever cheaper labor, raw materials, and production. In addition, you need to deal with foreign currencies in developing countries. Your inventory management solution needs to be able to handle international trade. Now go forth and explore the world!